Quizzle is a free credit score website that will give you a free credit score as well as a free credit report every six months. There's no purchase required and no credit card is needed. Visit Quizzle and click on Get Your Free Credit Report and Score to get started. You'll need to provide your name address, phone number, birthdate, and veteran status. On this same page you'll need to answer some questions about your home if you own one, any employer benefit programs, and provide an email and password to create your account. Click Submit to continue. You'll now need to check your email and follow the link to activate your Quizzle account. After clicking the link, you'll need to sign in again. You'll now be asked to enter your social security number so they can access your credit report. After that's accepted you'll be asked a few questions pulled from it so they can verify your identity. Quizzle will then ask you a few questions about your goals. You can click No Thanks, Skip if you'd like to skip the questions. You can now view your free credit score and credit report. Note: There's a Quizzle Pro program that is not free. You can ready more information about Quizzle Pro here. On your My Quizzle dashboard you'll get an overview of your credit score, credit report, and some advertisements for loans and credit cards. A quick look in the My Credit box shows you your VantageScore credit score. Click on Credit Report to view your Equifax credit report. You'll be able to view your open accounts for your home, auto, and credit cards. There's also details about closed accounts. Quizzle only makes a soft inquiry to your credit report so getting a free credit score through Quizzle will not affect your credit. 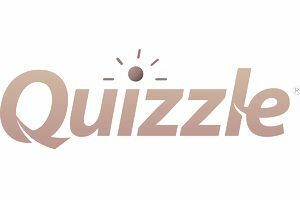 Quizzle asked quite a few more questions than the other free credit score websites such as Credit Sesame and Credit Karma. There were lots of questions about my home purchase price, amount of mortgage, my income, and my savings. They don't need this information for my free credit score, they want it so they can build advertisements for me. There was no way to skip entering this information. While you're filling out your information to get your free credit score from Quizzle, you'll see some annoying pop-ups. These slowed down the sign-up process for me. While I appreciate the extra information, I would rather click a button if I wanted to see it instead of them showing up by default. My free credit score and credit report was filled with advertisements which are presented in a way to "help" me. I found it a little difficult to tell the difference between the information I wanted to see and the advertisements. Quizzle makes the bottom of my list for free credit scores and I'd rather use one of the other free services.